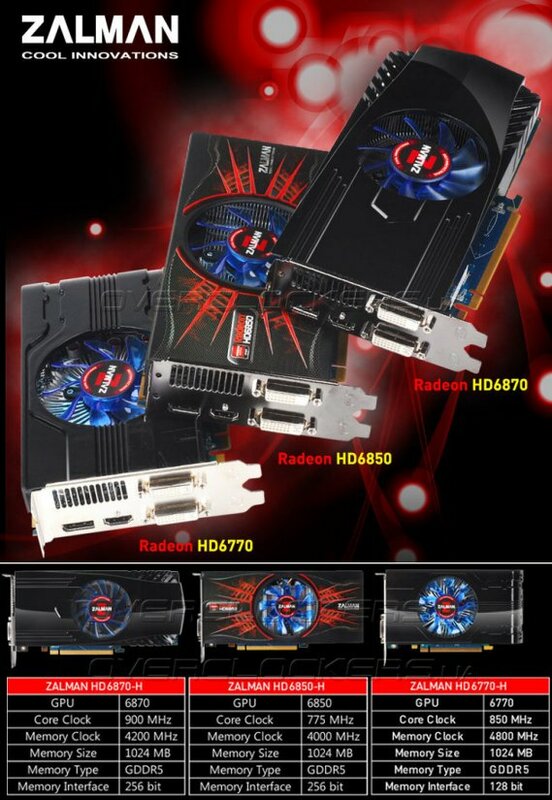 TechPowerUp noticed that Zalman has entered the graphics card market with a Radeon HD 6870, Radeon HD 6850 and Radeon HD 6770. Pretty tame cards though, with no custom coolers or other exclusive features. The company is now an AMD Radeon add-in board (AIB) partner, and started its lineup off with some upper-mainstream models. It makes perfect sense for Zalman to enter this business, as it holds some expertise with high-end graphics card cooling solutions. Zalman can source PCBs from any of the major foundries such as PC Partner, Hightech Information Systems, or TUL, and assemble its coolers on top of them.